Paintballing in Yorkshire is well catered for with Leeds within its borders and two other great sites on its doorstep. Leeds has recently spent a great deal of time improving its facilities to ensure its customers have the best paintball day out possible. 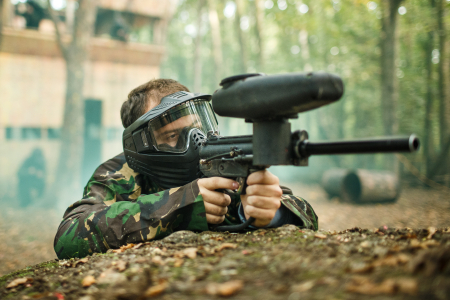 Just outside of Yorkshire lies the Middlesbrough and Stockton venues, these site also offer great paintball facilities and can be more convenient for some Yorkshire residents. The equipment used at all these sites are maintained regularly ensuring your goggles keep you safe and your paintball markers wont break at a crucial moment.